Ethereum (ETH) was facing scalability issues. It is a factor which is known widely to the entire blockchain community. 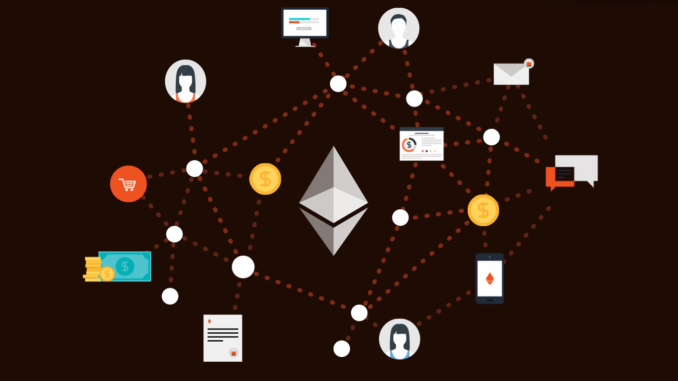 Many expected that Ethereum (ETH) would lose its market share when it comes to decentralized apps and smart contracts. However, few anticipated that it would happen fast. There are a couple of other cryptocurrencies which are actively eyeing this market share. Is Ethereum (ETH) losing the decentralized apps market share? The year 2018 was pretty tumultuous for most of the cryptocurrencies. However, the blockchain usage increased significantly. The total revenue contributed by decentralized applications in the year 2018 was $ 6.7 billion. In the year 2018, Ethereum (ETH) had a transaction volume of $ 2.6 billion through decentralized apps. EOS, on the other hand, had a transaction volume of $ 3.5 billion. Thus, it seems like EOS gained a significant market share when it comes to decentralized applications. On the other hand, Tron (TRX) is trying to attract users from Ethereum (ETH) and the EOS blockchain. Tron (TRX) also crossed 1 million users for blockchain. Justin Sun, the creator of Tron (TRX) also advocates the launch of the migration fund for developers of decentralized applications. Once that comes into action, the migration from the Ethereum (ETH) blockchain to Tron (TRX) will increase even more. It will cost Ethereum (ETH) dearly. In the year 2018, the volume for Tron (TRX) decentralized applications was just around $ 606 million. Thus, it is a long way to go. However, it is pretty clear that when compared with the EOS and Ethereum (ETH) it has a lot to gain. The main advantage of Tron (TRX) is that it offers scalability which Ethereum (ETH) is not able to provide. Unless and until this issue resolves, it will be challenging for Ethereum (ETH) to retain its users. The problem is that Tron (TRX) is already making a move for the users. Many of the developers have already made a move and are converting their decentralized applications to the Tron network. As a result, Tron (TRX) is gaining more and more impetus. When you look at the transaction volume of Ethereum (ETH) and the EOS, Ethereum (ETH) is already losing a significant amount of market share. It is no longer the most used blockchain when it comes to decentralized applications. That is why the Ethereum (ETH) market share is likely to fall even more. With increasing options, the developers of decentralized applications have more options than ever. Cryptocurrency mining News – Is Cryptojacking malware evolving by itself?